STK is committed to conducting business in an ethical manner to create genuine value for all of our stakeholders: customers, partners, employees and shareholders, the communities where we are working and the global community at large. 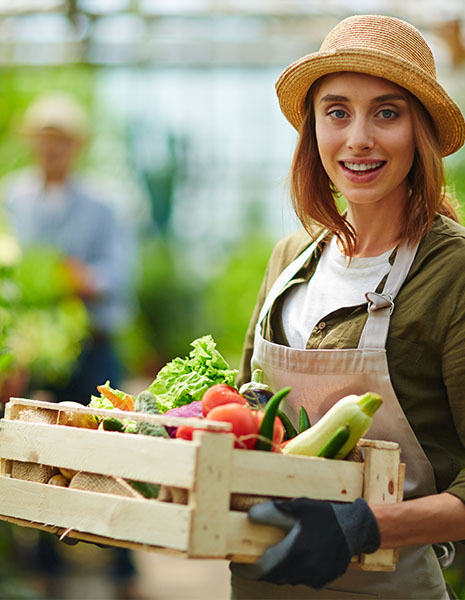 We work closely with growers and understand their ongoing challenges in making the right investments for nurturing crops, safe-guarding their fields and family, and maintaining viable relationships with their customers – the supermarket chains and fresh, frozen and processed food brands that feed us all. By adopting the food protection ethos as the core of our identity, STK has entered into a forward-looking, responsible social contract with the greater ecosystem, from field to fork. STK is an engaged member in leading sustainability organizations worldwide. Peter Tirosh was the founder of STK and guided its vision and growth for over two decades. His passion for agriculture and genuine interest in the welfare and wellbeing of farmers continues to resonate in the DNA of the company today. His belief in biologic food protection solutions based on botanical extracts forged the path for STK to develop better, safer and more sustainable solutions for farmers and the environment. In his memory, we are proud to launch the Peter Tirosh Global AG Involvement Program. The program will support global projects which aim to improve sustainable agriculture while fostering local community development.